Limited Liability Company "Lviv Insulator Company" was established in 2002 on the basis of the Lviv Insulator Plant, which existed since 1965. In the mid 90s the general worsening of the economic situation in the countries of the former Soviet Union led to a temporary reduction in the overall demand for factory products and the temporary suspension of production. As a result of political and economic transformations the plant was forced to adapt to new conditions, and as a result, "Lviv Insulator Plant" Joint-Stock Company emerged in 1992. Thanks to the collective efforts of the plant since 1999 JSC "Lviv Insulator Plant" has entered the market of insulators manufacturers and began rapidly to restore its position on it. 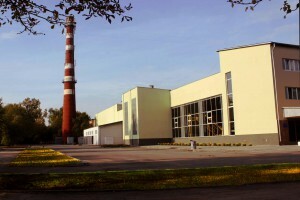 Since 2002, the Lviv Insulator Company, as a result of the reorganization of education, continues the success of the Lviv Insulator Plant in the markets of many countries, using the resulting activity of the company for many years of experience and tradition of the production of high quality insulators. More than 250 mln. Pieces of insulators produced at the Lviv Insulator Plant during the years of his work, successfully operated on the lines of electric voltage of 0.4 kV and 1150 kV power systems in more than 30 countries around the world, that is an undeniable evidence of excellent quality and high operational reliability insulators. From Lviv Insulator Plant, one of Europe's largest manufacturers of low- and high-voltage insulators with annealed and tempered glass, Lviv Insulator Company has adopted and developed a tradition of production of high-quality insulators. In 2003 the company received the quality certificate ISO 9001/2000. Lviv Insulator Company is situated in the South-western part of the town of Lviv, close to the western state border of Ukraine. Numerical automobile and railway routes reliably connect city with European countries, the former Soviet Union, the Middle East and Asia and with sea komunikatsiyamy that dozvolyayuye supply products plant in any part of the world.